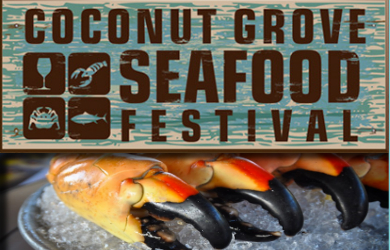 Kick off Stone Crab season with The Coconut Grove Seafood Festival October 20th at Peacock Park. Savor a multitude of seafood prepared in a variety of ways including Caribbean with its Bahamian cracked conch and Jamaican Jerk grilled fish, Latin American offering paella and Peruvian ceviche, Cajun with its gumbo, jambalaya and crawfish étouffée, North Eastern offering traditional chowders, lobster rolls and clam boils, Asian with the always satisfying sushi and sashimi and, last but not least, Florida seafood with its world-famous stone crab, lobster and fresh fish. 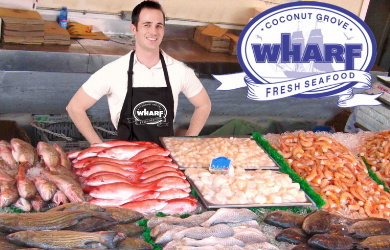 In addition, people can head over to the "Grove Wharf" - a farmer’s market meets seafood - where experts will be on hand to help them select the right items to purchase and take home. 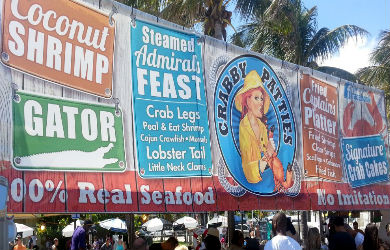 To complete the festive equation, The Coconut Grove Seafood Festival will have a constant stream of live music including calypso, steel drum, reggae and Island Escapism. The Festival will also feature several nautically-themed exhibitors showcasing art, jewelry, decor and a family fun zone. Access to the VIP Lounge with Complimentary Beer and Refreshments. Gates open at 11 a.m. and closes at sundown. Kids under 12 are free and do not require a ticket. Limit 6 per person, may buy 4 additional as gifts. Online redemption required. Voucher must be redeemed for e-ticket for entry into event. Additional food and drinks cost extra. Operates in all weather.